Think your job is already big? Try taking on the role of a ScrumMaster! The ScrumMaster goes way beyond simple project management, to actually facilitating the work, protecting the workers, and serving as an intermediary. Of course, all that work doesn’t come without a great payoff. While the ScrumMaster’s role is a tough one, it is also extremely rewarding as each effort results in massively enhanced productivity, efficiency, and teamwork. 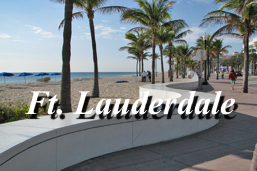 If you’re up for a worthy challenge, join us for two days of ScrumMaster certification training in Fort Lauderdale, Florida, and learn what it means to be a successful, professional ScrumMaster. What Does a ScrumMaster Do? A ScrumMaster isn’t a manager, but many product owners are confused as to what a ScrumMaster actually does. It’s wonderful if product owners can participate in our ScrumMaster certification training in Fort Lauderdale, Florida, as it helps the whole team to be on board with the same vision and goal. Simply put though, the ScrumMaster’s job is to focus on enabling the team to do their job in the best way possible. He doesn’t micro-manage or tell them how to accomplish their goals. Rather the ScrumMaster facilitates progress and creates the conditions needed for success. - Coaching one or more teams. - Facilitating necessary team meetings, such as daily Scrum meetings, sprint planning, etc. - Advocating for the team and protecting them from unnecessary meddling or distractions. - Removing impediments to progress and providing the needs of the team. - Keeping the team focused on the process. - Upholding and coaching in technical Scrum practices and principles. - Building cohesion, teamwork and communication within the team. That’s just a start, but you can probably already see how complex the job is. It takes considerable training and a good degree of commitment to become a successful ScrumMaster, and that’s what we’re here for. Come alone or bring your whole team along to our ScrumMaster certification training in Fort Lauderdale, Florida, and see what Scrum can do for your next project! For more information, please do get in touch at info@winnowmanagement.com.